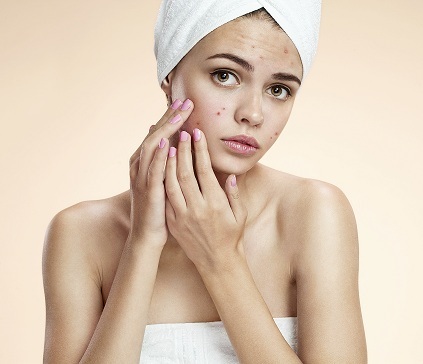 Acne is the bane of adolescent existence, but adults who are prone to getting them and are not scrupulous with their hygiene find that acne is more than just a passing problem: If not adequately treated, acne can leave scars and deep pits that often require treatment from aesthetic laser clinic. Prevention is always better than cure, but if you already have it, doing these 5 common-sense habits will prevent you from making your acne worse. Overscrubbing the face with abrasive products can only worsen acne as the irritation can cause more acne breakout. Instead, use an exfoliating brush or a gentle exfoliator so your pores are cleansed without being irritated. Facial redness from overscrubbing that does not resolve on its own requires consultation with an aesthetic clinic Singapore skin care specialist who may advise 3D Skin Rejuvenation procedures such as LimeLight Facial, Laser Genesis and Titan that not only banish redness but also improve age spots, large pores, fine lines, wrinkles and lax skin. Naturally, we only dab acne medication on active pimples. We forget, however, to apply a thin layer over the entire area where pimples tend to occur. Especially when you are using a product containing benzoyl peroxide, it helps to spread this medication a bit for preventive care. Your hair produces oil so when they touch your face, they make irritation worse, as grime and dust can collect in your hair and transfer them unto your skin. Plus, frequent contact with itch-inducing hair could only make things much worse. Tie your hair or cut it short when you’re having a breakout. As tempting as it may look, avoid popping a pimple. Germs breed in your nails and fingers, so touching your face with your dirty hands will spread the infection, aggravating your pimples. Worse, when you pop a zit, you increase your chances of scarring. Use spot correction instead with acne medication. Of course, when your pimples have gone past redemption using topical application, getting acne treatments in Singapore using resurfacing procedures such as Cutera Pearl may be in order. This US-FDA approved treatment popular in laser clinics in Singapore uses laser to gently remove a portion of the top layer of the skin, improving freckles, wrinkles, scars, and sun damage. In the same way that your hair transfers sebum to your face, your dirty cellphone also transfers oil and sweat back to your face. While that may not sound too gross, remember that in between calls, bacteria may have grown from your last cell phone use. So clean your phone as per manufacturer suggestion. If you find that tedious, use ear buds or make calls hands-free. Healthy skin habits go a long way in ensuring that your body’s largest organ will do its job of protecting you from bacteria and the elements. After all, the skin is not just your first line of defense, but the image of you that you present to the world: Taking care of your face, above all, is well worth your investment in money, effort and time.